Il Guerriero’s signing is a major coup for the La Liga champions, especially if one considers his transfer fee. 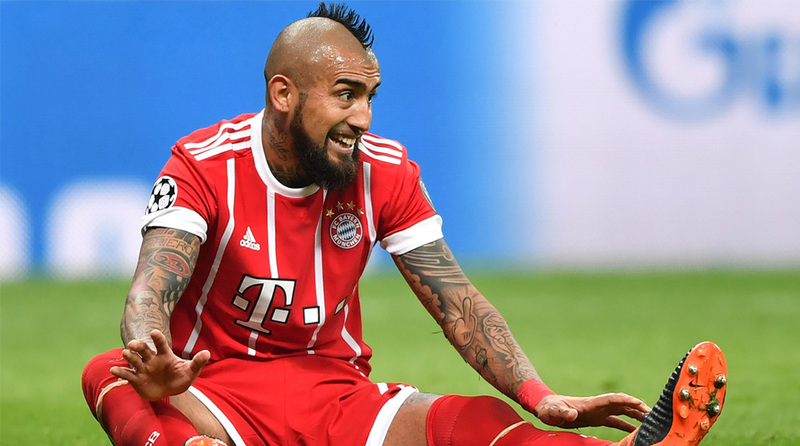 Catalan giants Barcelona have added a bit of steel to their midfield with the acquisition of Bayern Munich’s Arturo Vidal for a reported fee of €20 million. “FC Barcelona and FC Bayern Munich have reached an agreement for the transfer of player Arturo Vidal,” the club stated. The 31-year-old looked happy in pre-season training with Die Bayern, but reports of an impending move started to do the rounds since the start of the week and by Thursday, a confirmation was mere formality. Considering the Chilean had the entire summer off due to the fact that Chile didn’t qualify for the 2018 FIFA World Cup, Vidal is expected to slot right in alongside Ivan Rakitic and Sergio Busquets in the heart of La Blaugrana’s midfield. A combative midfielder who’s played for some of the continent’s finest sides including Bayer Leverkusen, Bayern Munich and Juventus, Vidal has won a multitude of trophies at the club level. At his age, he doesn’t have much resell value but for the price that Barcelona have paid for him, it’s a steal in every sense of the word. Vidal is the fourth signing of the summer for Ernesto Valverde’s side, with Arthur, Malcom and Clement Lenglet the other new arrivals at the Nou Camp. Barcelona play AC Milan on Sunday morning (0530 IST) but Vidal is certainly not expected to feature as the majority of the squad is in the United States currently. Valverde’s men next take on Sevilla in the Spanish Super Cup on August 12 and Vidal is expected to be in contention to start. The defending La Liga and Copa del Rey champions, Barcelona begin their 2018/19 league campaign with a home fixture against Deportivo Alves on August 18.